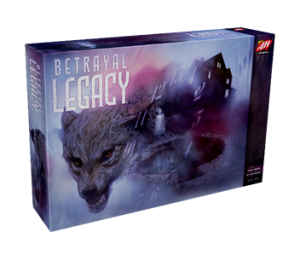 Home Gaming News Avalon Hill: Betrayal Legacy Available Today! Beginning today, November 9, Betrayal Legacy is available everywhere! Based on the award-winning Betrayal at House on the Hill and designed by Rob Daviau (Pandemic Legacy, Risk Legacy, Seafall), Betrayal Legacy is a unique experience offering you the chance to create the iconic house’s story through decisions and actions taken in the game. With its history shrouded by wild-eyed ravings and the scrawling of madmen, it was thought that no one would ever know the unholy origin of the house on the hill. Until now. The history you tell is one you create. Beginning in 1666 and traveling through time to the year 2004, players take on the roles of several generations of families obsessed with the house whose actions in one game carry forward into future games. Every journey through the legacy campaign will be unique and unpredictable making each group’s experience different. Once the campaign is complete, you’ll be left with a fully re-playable, customized board game. 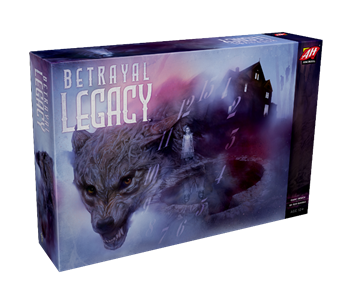 Designed for 3-5 players ages 12+, Betrayal Legacy retails for $75.